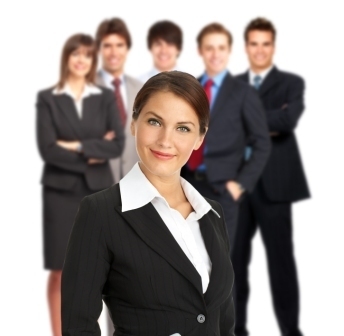 Build Your Executive Presence - Build Your Success! The Gravitas Principle® provides customized Executive Presence coaching for leaders and others targeted for success. Develop the Four Pillars you need to succeed in today’s marketplace—Communication Skills, Confidence, Charisma, & Professional Image. For more than 30 years, Jill has worked with people in all stages of their careers in dozens of industries and has helped propel them to higher levels of success. Jill is an expert in Executive Presence and created The Gravitas Principle® to develop and refine the business communication skills necessary to be seen, to be heard, and to lead. Read on to learn more about what can be included in your customized Gravitas Principle® coaching program. Then give us a call at 708.848.5945 to discuss our executive presence program and process in more detail. Don’t wait another day – learn the skills that will help you make your mark and get ahead! Improve your workplace communication skills, including the ability to share your ideas, drive the discussion, and move others to action. Today’s leaders need excellent executive communication skills—to be able to listen effectively, ask the right questions, distill key points, and build consensus – and do it all with grace. And if English is not your first language, improving your pronunciation and word stress can make all the difference to those you’re trying to influence. Executive coaching can help you develop compelling messages and communicate with gravitas. Body language is a dominant force in your communication and can be more persuasive than words. The Gravitas Principle® can teach you how to master your nonverbal communication, read and adjust to others’ signals, and use this silent language to convey confidence and influence those around you. Doors open to those who excel at public speaking! Presentation skills training will show you how to tailor and tighten your content and deliver it in a way that keeps your audiences engaged. Learn how to handle Q & A, use visual aids effectively, and reduce nerves. Videotaping is incorporated to fast-track your progress. A strong Executive Presence aligns the inner self with the outer expression. Are your beliefs, values, and principles reflected in your behavior? Are you honest with yourself and others about your limitations? Are you empathetic and able to show vulnerability and humility to others? The Gravitas Principle® will help lay the groundwork to becoming more authentic in the workplace. When you have Executive Presence, you have the courage of your convictions and are able to stand your ground in the face of opposition. You’re able to speak assertively and truthfully, as well as take responsibility for your failures. Coaching can help you develop the emotional intelligence, poise, and transparency needed to lead and be respected by others. Make a dynamic first impression and command the room as soon as you enter. 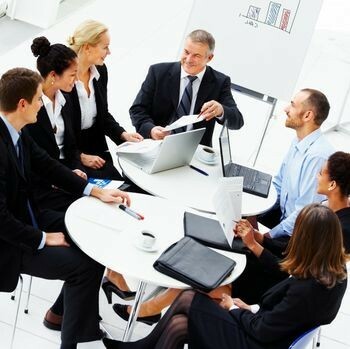 Develop your “people skills” and learn how to develop rapport quickly and easily. Your ability to make small talk, connect, and share your vision will help you build a strong network of relationships that will be valuable to you both now and later. How you treat others demonstrates respect and can set you apart as someone with class and sophistication. The Gravitas Principle® will teach you the finer points of work etiquette and social etiquette, including client/colleague courtesies, meetings and greetings, social media etiquette, and business dinner etiquette. How are you perceived by others? Do people think of you as credible, reliable, consistent? Do your words match your actions? Learn how to craft and control the stories people tell about you and develop a reputation that will serve you well. Affiliations, mentors, and champions can be valuable partners in your Executive Presence – and coaching can help you identify and cultivate them. Your professional wardrobe can speak volumes before you ever open your mouth. 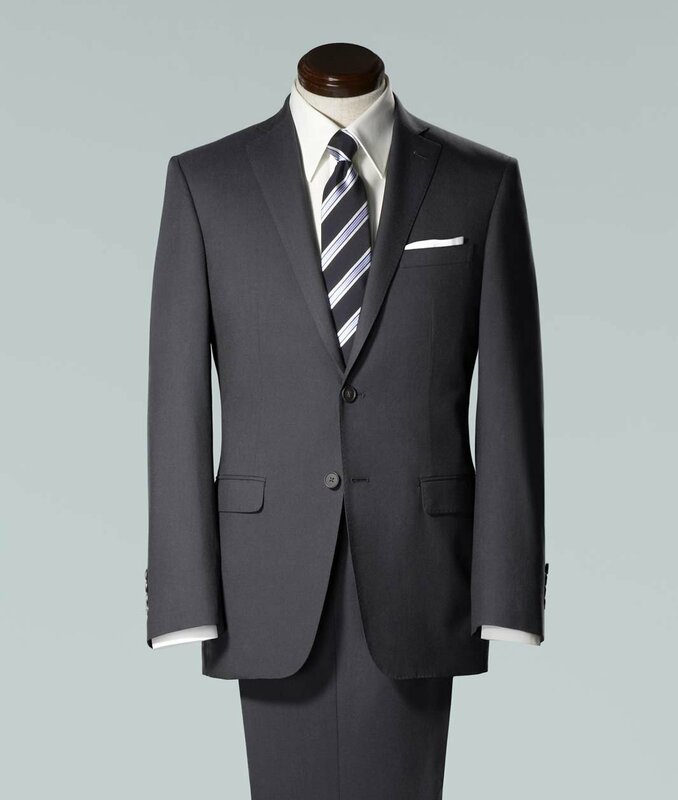 Learn how to package your appearance so that you always look appropriate and polished. Executive coaching can show you the Four Levels of Dress, proper fit, coordination, and grooming choices that will be appropriate to your industry, role, and corporate brand. An in-home Closet Audit and personal shopping time can also be included. Listen as Jill discusses workplace gravitas on The Lori Moss Show podcast! 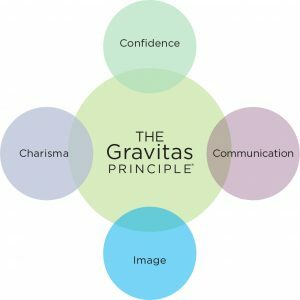 The Gravitas Principle® projects begin with an 80-question online assessment to determine Executive Presence strengths and challenges in the four facets of the Gravitas Model – Communication, Confidence, Charisma, and Image. Content is further customized after careful discussion with all parties involved, along with a detailed review of other assessments conducted to-date. Learning objectives are then developed in partnership with the coachee and key stakeholder. Scheduled over a series of months, 1.5 to 2-hour sessions are conducted face-to-face whenever possible, and can include exercises, role-plays and videotaping. If time and distance are an issue, some sessions can be conducted by phone or Skype. Homework is assigned with each session. Update calls with the stakeholder are conducted at the midpoint and end of the project. Additional hours of coaching can be added to either level, if desired. “Just wanted to share that I just got promoted to principal!!! Thank you for your help – I couldn’t have done it without you!!! Three- to four-word subject lines are best. FALSE – Three to four words are usually not enough to motivate a person to open your message. Think of your subject line as an intriguing marketing slogan and aim for a 6-word max. Six words allow you to be both detailed and descriptive. Subject lines should be changed when topics change. TRUE – When emails become a long back-and-forth thread, topics can change. Suddenly, the email titled “Friday Budget Meeting” has turned into a conversation about Sally’s baby shower. Update the subject line to reengage readers. Better yet, start a new email! Including six names in the “To:” box is acceptable. TRUE ONLY if all six people are equally relevant to the message and you need responses or action from all. More than likely, only 1-2 of them are relevant and the other people just need to be kept in the loop. Put those names in the Cc: box. All caps should never be used in email messages. FALSE – It’s fine to use all caps for positive emphasis, not negative. “That was a GREAT presentation” vs. “You are an IDIOT.” See the difference? The best length for emails is between 50-125 words. TRUE – According to a study by email-marketing platform Boomerang, you can boost your response rate by half by keeping your emails between 50 and 125 words. EXTRA CREDIT: The best time to send emails is 4:00 pm. FALSE – According to a study of 500,000 emails by one email tracking provider, emails sent between 6 a.m. and 7 a.m. get the highest open and response rates, about 45%. Fewer emails are sent during that time slot, lowering the competition.